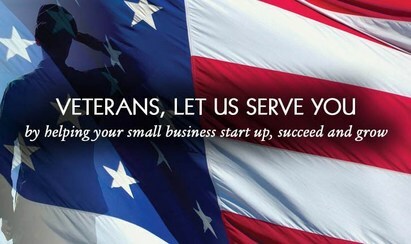 SBA and resource partners such as the SBDC, Women’s Business Centers, and SCORE are committed to providing Veteran entrepreneurs and small business owners great business support services. That’s certainly true at the Center for Business & Innovation in Lacey where they offer free business advising, mentoring and coaching, and no- and low-cost workshops and trainings. 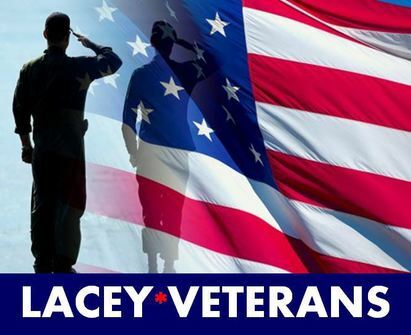 Additionally, thanks to special funding made available by the Lacey City Council, Lacey-based veterans wanting to start a business in Lacey can get some extra help. For more information, contact the Center for Business and Innovation, a program of the Thurston Economic Development Council: 360.754.6320; veterans@thurstonedc.com; or www.thurstonedc.com/veterans. This is a great time to be a woman veteran on the path to entrepreneurship. So much progress is being made in the growth of successful veteran women-owned businesses. Much of that vibrant advancement is based on the network of education, counseling and access to capital provided by the SBA’s Office of Veterans Business Development (OVBD), the Office of Women’s Business Ownership (OWBO) programs, and SBA’s resource partners. The SBA has presented a report to Congress focusing on the Agency’s outreach to aspiring and established veteran women entrepreneurs. SBA’s Women’s Business Centers (WBCs) and Veterans Business Outreach Centers (VBOCs) are the primary resource partners for women veterans looking to start and/or grow their businesses as well as SBA’s Small Business Development Centers (SBDCs) and SCORE. These centers contribute greatly to the phenomenal growth of women veteran entrepreneurs. Women represent about 15 percent of active duty military, 18.8 percent of the Reserve and Guard, and 20 percent of new recruits, according to the U.S. Department of Defense. Nearly 280,000 women have served Post 9/11 in Afghanistan and Iraq. The total women veteran population in the U.S. and its territories is 2,035,213. As of 2012, there are 383,302 veteran women-owned businesses in the U.S. This reflects an increase from 2007 of nearly 300 percent, or an additional 286,188 businesses. In 2007, 4 percent of U.S. businesses were women-owned. By 2012, it increased to 15.2 percent. In 2012, veteran women-owned businesses with no employees generated a total of $17.9 billion in receipts (businesses with employees generate a total of $10.9 billion). Meanwhile, in 2015 SBA’s 7(a) and 504 loan programs provided 239 loans to veteran women-owned firms totaling $87 million, representing a significant increase over the last five years. To view the full blog post and an extensive list of resources available to women and women veteran entrepreneurs, click here. For the eighth year in a row, the Emerging Leaders class has started in Seattle. The intensive entrepreneurship education series includes approximately 100 hours of classroom time during seven months from April through October. Upon completion of the course, participants have a three-year growth action plan and a network of peers and industry experts. 20 local entrepreneurs where selected out of more than 170 applicants. All workshops are free, however registration is required. In this 30 minute radio talk show style program we will cover the key areas of succession planning and for those calling in we will follow up with a free succession planning checklist sent to you so you can get started preserving the value you have worked so hard to create! LGBT Business Builder is a national initiative sponsored by the SBA, the National Gay and Lesbian Chamber of Commerce (NGLCC) and Affinity Inc. Magazine, showcasing programs and assistance available through the SBA to LGBT-owned small businesses, as well as provide information on and the chance to register as an LGBT-owned small business through the National Gay and Lesbian Chamber of Commerce. 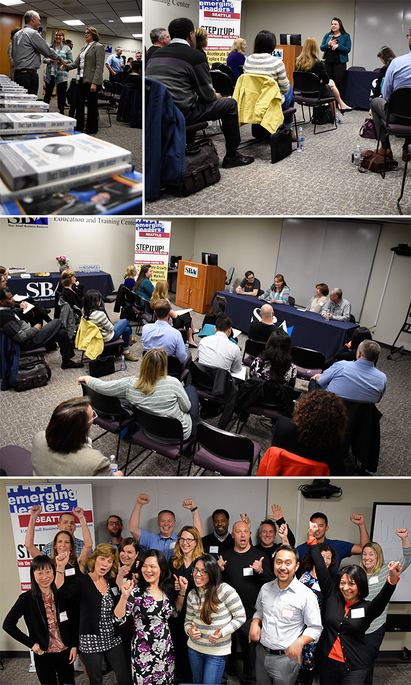 Is there a topic you'd like to see in the SBA Reporter? E-mail your ideas and requests to infoSDO@sba.gov.